Summary: Maggie is bereft after the sudden death of her father, not quite sure how to proceed in the face of this and other drastic life changes. When she and her friend Gillian discover a Ouija board in the attic of Maggie’s new house, Maggie hopes to contact her father and say a proper goodbye. Instead, the girls end up contacting Hope Lewis, a deceased spirit who asks for their help. Along with Cole, Maggie’s little brother, the three are transported back in time to 1915 where they met Hope and find a way to support her through the most stressful time of her life. In the process, helping Hope helps themselves, and when they return to the present, all have gained a new found appreciation for what they have, as well as a greater awareness of the needs of others around them. Review: In the wake of her father’s death, Maggie is overwhelmed by grief. Now the sole wage earner of the family, Maggie’s mother moves her and her brother to a cheaper house that also happens to be an abandoned hotel. In the summer before high school, Maggie is stuck, unsure of how to keep going without her dad. Nothing that previously brought her joy seems to work anymore, and she finds herself adrift in sorrow. Encountering Hope through the Ouija board changes everything though as Maggie’s focus shifts from inward to outward, and because she has personal experience with the death of a parent, Maggie turns out to be the perfect friend when Hope’s father dies overseas in the Great War. My favourite part came after they arrive home safely and discover Hope’s daughter in a local nursing home. What I love about Beautiful Goodbye by Nancy Runstedler is it’s a gentle story about the journey of grief. Runstedler presents her reader with a thoughtful, character-driven book, and Maggie’s growth is wonderful to witness. The last scene between Maggie, her brother Cole and their mother is a satisfying way to end the story as the reader gets the sense that what ever happens, Maggie will be okay. She knows grief is ongoing in nature, but also that she has an effective support system to help her through. 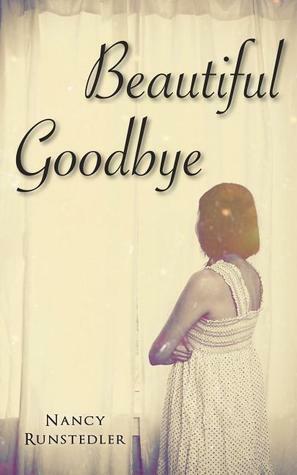 Beautiful Goodbye by Nancy Runstedler is published by Dundurn Press, (2013).